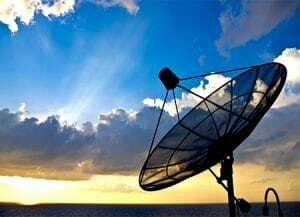 Chinese Company LinkSure Network plans to create a WiFi satellite network program by 2026. 2019: Launch the first satellite named LinkSure-1, at the Jiuquan Satellite Launch Center, a Chinese space vehicle launch facility in the Gobi desert, Inner Mongolia. 2020: Launch the first ten satellites of the constellation system. 2026: Have a completed network of 272 satellites and data processing application centers. Two layers in low orbit of varying heights will make up the final 272 satellite systems. The first layer will be a strong 72-satellite core situated 100 km (62 mi) above the Earth. The second layer will be the remaining 200 satellite nodes orbiting at 600 km (373 mi). The total cost of the LinkSure project is expected to reach more than 3 billion yuan ($431 million). Funding will come from partnerships and applications. The project concept is not new nor unique. Companies like Google, SpaceX, and Facebook among others all have similar projects in the works.